WASHINGTON — Blue and White party leader Benny Gantz vowed to purge the Israeli government of corruption and racism should he be elected prime minister next month, while pledging he would “use force when needed” to stop Iran from obtaining a nuclear weapon and becoming a regional power. 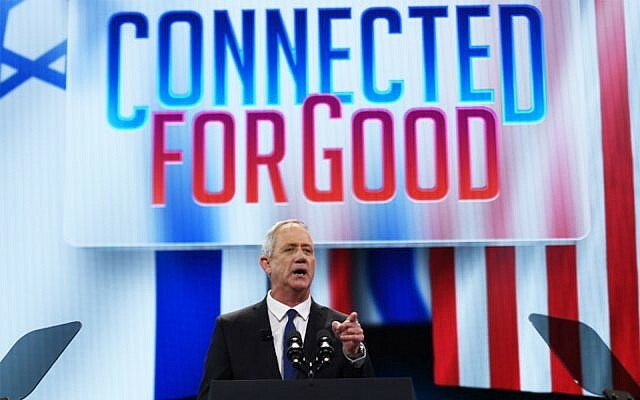 Two weeks before the April 9 election, Gantz addressed roughly 18,000 people at the American Israel Public Affairs Committee’s annual confab on Monday in his first major address before an American audience. He used the speech to castigate his rival, Prime Minister Benjamin Netanyahu, for criminal charges that have cast a dark shadow on his premiership over the last two years, and for which Attorney General Avichai Mandelblit announced last month that he would indict Netanyahu, pending a hearing. Gantz, 59, also attacked the prime minister for a decision that was among his most incendiary for American Jews — his orchestrating a deal that allowed an anti-Arab extremist party, Otzma Yehudit, to become part of a right-wing alliance seen likely to win seats in the next Knesset. In his speech, the former IDF chief of staff made light of the controversy ensnaring his campaign in recent weeks — the revelations that Iranians hacked his cellphone — while making a firm promise to confront Tehran and prevent it from building nuclear weapons or destabilizing the Middle East. 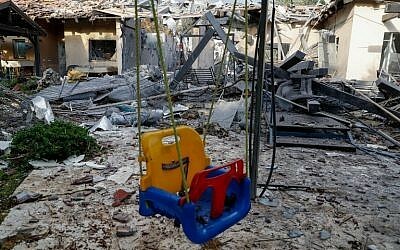 Gantz’s speech came hours after Hamas rockets were fired into central Israel, striking a home and injuring seven people, including two small children. Netanyahu was slated to address the AIPAC Policy Conference on Tuesday, but will head back to Israel on Monday after his meeting with Trump because of the security situation. Gantz said he would head back as well. The Israeli general also took aim at Netanyahu’s reversing his own agreement to establish an egalitarian prayer space at the Western Wall, a decision that infuriated the organized Jewish community in the US, especially leaders of the Reform and Conservative movements. “Unity: That is the secret weapon of the Jewish nation,” Gantz said. “Our ability to stand united should not be taken for granted. In Bergen-Belsen no one asked, who is Reform and who is Conservative? Who is Orthodox and who is secular? Before going into battle I never checked to see who had a kippa under their helmet. Earlier this month, Gantz’s Blue and White party included a provision in its platform saying it would implement the currently frozen deal to expand the pluralistic prayer pavilion at the Western Wall and establish a first-of-its-kind body made up of non-Orthodox Jewish leaders to oversee the site. 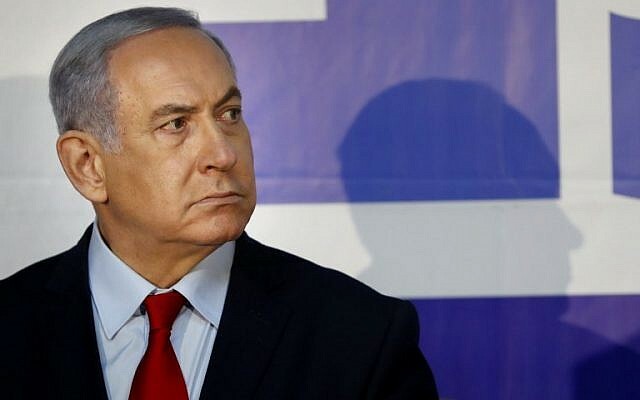 Recent polls have suggested Gantz’s Blue and White party is poised to receive more seats than any other party, though the surveys also suggested the centrist party would not be able to form a coalition whereas Netanyahu’s Likud would.